Radio and television have become commonplace devices in modern life. Both provide entertainment and critical information when an emergency arises. Yet, there are differences between radio broadcasting and television broadcasting. Radios receive electromagnetic waves moving through airspace, translating the waves into sound that is released through the radio's speakers. Depending on the age of the TV, it is either a receiver of electromagnetic waves or digital signals. 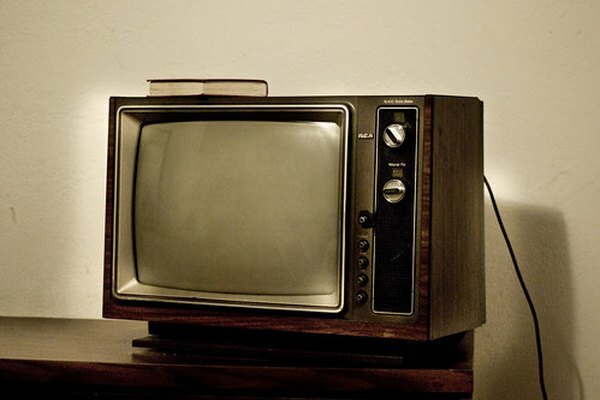 Analog televisions utilize electromagnetic waves in a similar manner to a radio, except television broadcasting transmits both audio and visual signals. Satellite and cable television subscription services include a variety of digital radio stations to be played on specific television channels. The channel will usually have some text visible on the screen describing the the radio channel and it's format. Multi-band radios receive the audio portion of local television signals, allowing for anybody to listen to their favorite shows on the radio. The basic difference is that radio broadcasting only transmits audio, while television broadcasting, whether analog or digital, transmits both audio and video. Image by Flickr.com, courtesy of Gabriel S. Delgado C.